Our state of the art auto service department here at Valley Toyota will keep your new Toyota vehicle or used car in excellent condition. Our diagnostic equipment operated by our expert technicians will detect any issues that may be occurring in your vehicle so that our Toyota trained service technicians can fix the problem right the first time. We offer all the auto services, auto maintenance and auto parts you need to keep your vehicle running like new, even if all you need is an oil change. our customers love us! check out what they have to say about us at valley toyota. Staff were personable and attentive without being pushy, and we were allowed to test drive without a backseat sales agent along for the trip. I did not end up buying a car just then, but this is where I will go when I am ready to buy. This was a very positive experience all around! Staff so friendly and helpful. They put me at ease immediately. Thanks so much. 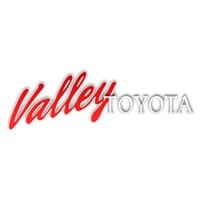 Always have great service with Valley Toyota - no waiting around to drop off my vehicle, no wait for the shuttle, friendly staff and always get explanation of my services once the job/s complete. Here at Valley Toyota we have a strong and committed sales staff with years of experience satisfying our client’s needs. Please feel free to browse our large inventory of new Toyota and used vehicles, book a test drive, or inquire about financing! We are located in the heart of the Fraser Valley, Chilliwack, British Columbia. As a Toyota dealer serving Chilliwack and the Lower Mainland, we know customer satisfaction is crucial to our success. We look forward to serving your automotive needs and hope that we can assist you with your next new Toyota or Used vehicle purchase. If you plan to buy a 4Runner, Avalon, Camry, Corolla, Highlander, Prius, Prius C, Prius V, RAV4, Sequoia, Sienna, Tacoma, Tundra, Venza, or Yaris, you will always find great prices, great service, and factory original parts. Our Chilliwack Toyota dealership sells many new and used vehicles and has lots of satisfied customers from local communities such as Sardis, Hope, Agassiz, Yarrow, Rosedale, Harrison Mills, and Greendale. Because of our outstanding service and great prices, customers travel from all across British Columbia, Alberta and even as far away as the Yukon to visit Valley Toyota. Our state of the art service department is here to help serve our Fraser Valley area customers and will work with you maintaining your vehicle in excellent condition. Our factory trained Service and Parts staff members are experts so many customers from Sardis, Hope, Agassiz, Cultus Lake, Rosedale, Harrison Mills, and Greendale return to us for help in keeping their new and used cars, trucks, vans and SUV’s in great shape. Our friendly staff will make sure your every visit is a pleasant one. Our certified service technicians will keep your new car running and looking like the day you bought it. Although we’re not open 24 hours a day, our website is always open 24/7, 365 days a year! On our website which serves greater Vancouver area, you can research the new Toyota cars, trucks, vans, or SUVs that you would like to purchase, search our inventory for all the used vehicles that we offer at great prices, request a new Valley Toyota vehicle price quote, find the value for your trade, view and download vehicle brochures or learn about our new and used vehicle specials that we offer. Outstanding service and customer satisfaction is what we’re all about.